Mission Dolores is a sub-area of Mission District, and is San Francisco’s oldest residential area. The neighborhood is bounded by the Central Freeway and Market Street on the north, Valencia Street on the east, 20th Street on the south, and Church Street to 20th Street and Sanchez Street to 18th Street on the west. The neighborhood, along with the broader Mission District, is named after Mission Dolores Basilica Parish, the oldest structure in San Francisco and the sixth religious settlement in a chain of missions established in California. There are plenty of places to visit and things to enjoy in Mission Dolores, including a vibrant art scene, many interesting shops and cozy cafés, and some of the best restaurants in the city. The neighborhood offers a very convenient lifestyle as well, as it is well served by several bus lines and the BART train system. Those looking for the perfect apartment to rent in Mission Dolores, San Francisco will find a terrific selection of properties to choose from. Apartments in Mission Dolores range from cozy studio and 1-bedroom/1-bathroom units to more spacious 6-bedroom models with almost 2,000 square feet of living space, and everything in between. Most Mission Dolores apartments are equipped with exceptional features such as hardwood floors, vaulted ceilings, stylish kitchens and bathrooms, spacious bedrooms with oversized closets, and panoramic views of the city. In addition, many apartment communities in the neighborhood offer fantastic common amenities such as outdoor lounges with grilling areas, private landscaped courtyards, bike workshops, car sharing programs, pet facilities, and rooftop decks. 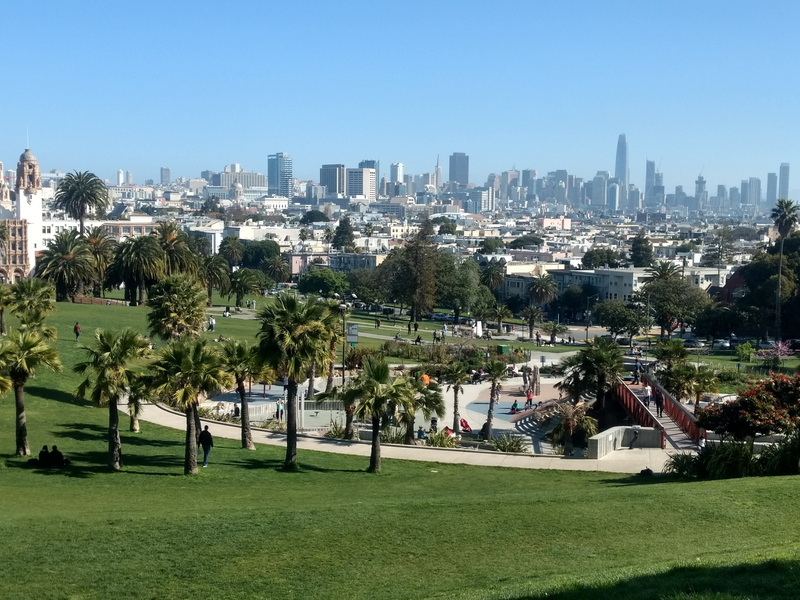 The scenic Mission Dolores Park boasts some of the most picturesque views of San Francisco. The park serves as a gathering spot for countless locals every day, and is a very popular destination particularly on sunny weekends. Established in 1977, the Mission Cultural Center for Latino Arts (MCCLA) is a venue which focuses on the preservation and development of Latino cultural arts. The center offers a wide variety of arts and cultural programs, including classes and workshops on studio recording, dance, and printmaking. Visit the Castro Theater, a famous San Francisco historic landmark which is one of the few remaining movie palaces in the country. Built in 1922, the theatre features an impressive Spanish Colonial Baroque façade inspired by the Mission Dolores basilica itself. The Clarion Alley Mural Project or CAMP is a grassroots project created in 1992 by talented artists seeking to beautify and breathe new life into the neighborhood. Walking along the block-long stretch of colorful murals is free of charge, while 45-minute guided tours cost only $5. Residents of Mission Dolores have access to several commuting options, including the 22 Fillmore bus, the J Church streetcar, and the BART train, which has a stop on 16th St. Mission.